We’ve officially entered what many call the dreaded trenches of winter (or perhaps that’s just my name for the period of time between New Year’s Eve and whenever spring decides to show up). Either way, being a February baby means I’ve always looked forward to the depths of winter, yes, even here in New York. Sure, the days are shorter, the wind bites down to your bones a bit more and for the life of you, you can’t seem to remember which coat has which pair of gloves in the pocket. But! The silver lining? Restaurants suddenly become that much cozier when it’s snowing outside. Eventually you break down and give in to the urge to have hot chocolate most afternoons. 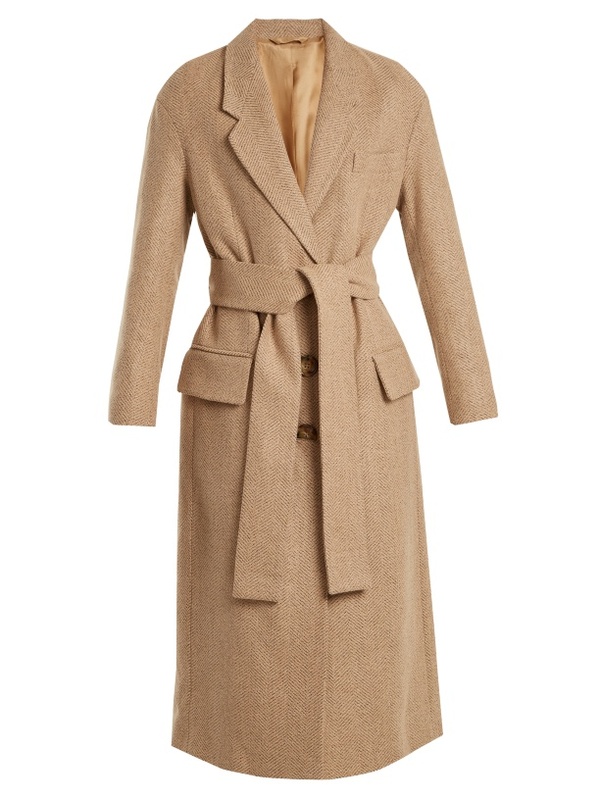 And an insanely chic coat is really all you need when outfit planning. On that note, I’ve rounded up my 5 favorite types of winter coats in today’s video, styling each a bit differently in all my favorite spots around the city. I hope you enjoy and stay warm out there! 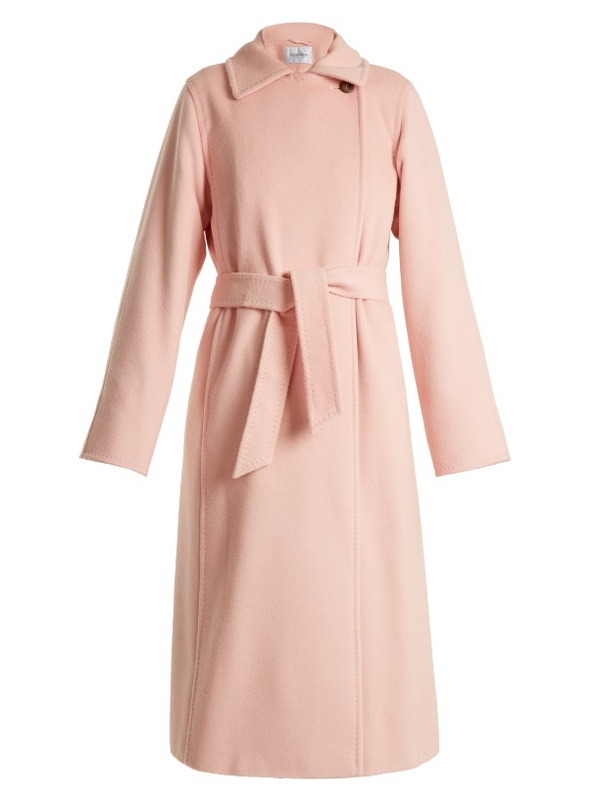 What I love most about a good swing coat (especially one that's midi length or longer) is that by simply adding a belt, you have a really chic dress. This particular pink coat is just so feminine (a bit of a departure for me when it comes to my coat routine) making it all the more twirl worthy. I wore a simple little cocktail dress underneath (to avoid adding bulk to the outfit), classic black heels and topped it off with a beret for a dash of Parisian flair. If there's one thing I promptly invested in after moving to New York, it was a camel coat. The one I'm wearing in the video is by Suistudio (a favorite suiting brand of mine), but I think this Acne version is the belted camel coat of my dreams (never hurts to have a little variety when it comes to your neutral jacket lineup). I dressed this coat up for evening in the video, but my daily uniform come winter usually consists of a camel coat like this, a grey turtleneck and some high waisted skinny jeans. It's easy to shy away from really long coats, particularly when you're far from model height like me, and the idea of something so long feels like it's going to swallow you up. Boy, was I wrong. I picked up an almost floor length coat two winters ago and realized the clean, long lines of the jacket actually made me look taller, not to mention warmer (it's practically like wearing a blanket). Needless to say, this Stella option is a great contender for the colder months of winter ahead. And it's on sale! I love how herringbone always has a slight borrowed from the boys vibe -- and a coat like this is easy to put your own feminine spin on. In the video, I styled mine with a belt cinching for a higher waistline, skinny jeans, and the illusion of not much else going on underneath (spoiler alert: a little lacy cami will do just fine here). Suddenly, what was once an overcoat now looks more like a statement blazer. It's true. I'm a sucker for winter white looks. 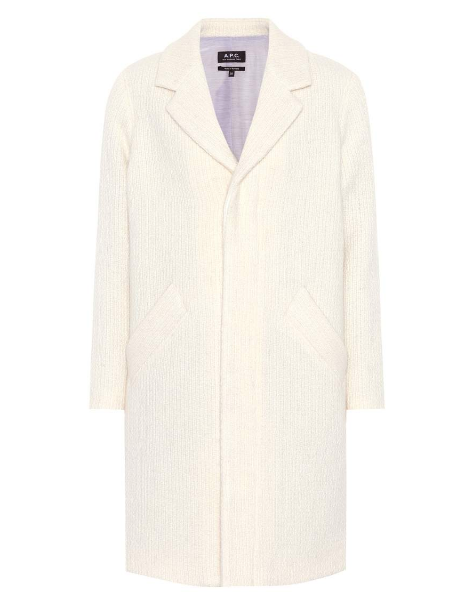 Oddly enough though, this wool and mohair coat actually marks my first white coat. The one I'm wearing in the video is by Ba&sh Paris, but this one by A.P.C. has the same deliciously oversized fit -- kind of like you stole it from your boyfriend. Style and how-to, new york city, nyc, outfits, style, trends, video, winter coats. Thanks Mia! I appreciate that! 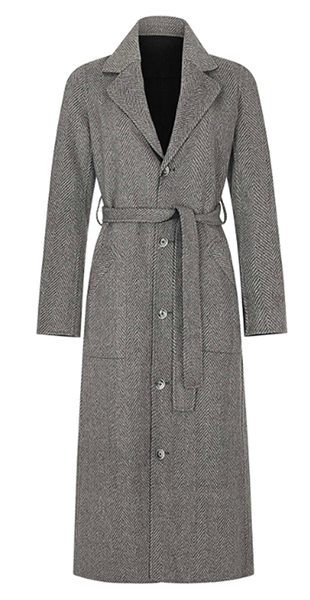 I want that herringbone coat in my closet!! It runs a bit big — I have the 1 on here — but I kinda wish I got the size 0 instead!